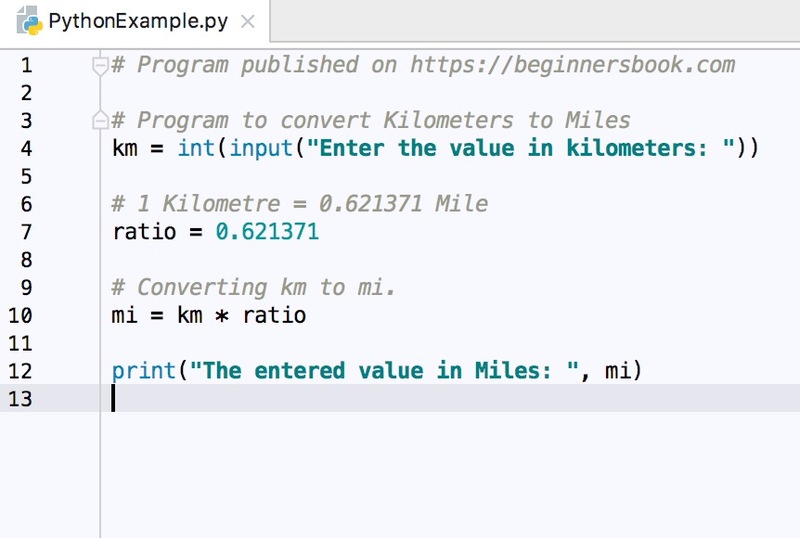 In this tutorial we will see how to convert Kilometers to Miles in Python. This program prompts the user to enter the value in Kilometers and converts it into Miles by multiplying the entered value with 0.621371 (1 Km = 0.621371 mi.). # Converting km to mi.